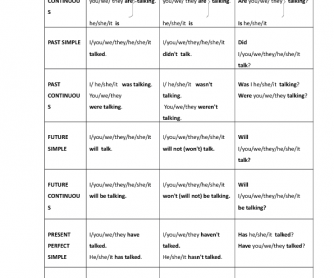 Simple and continuous tenses scheme with examples (present, past, future, present perfect). 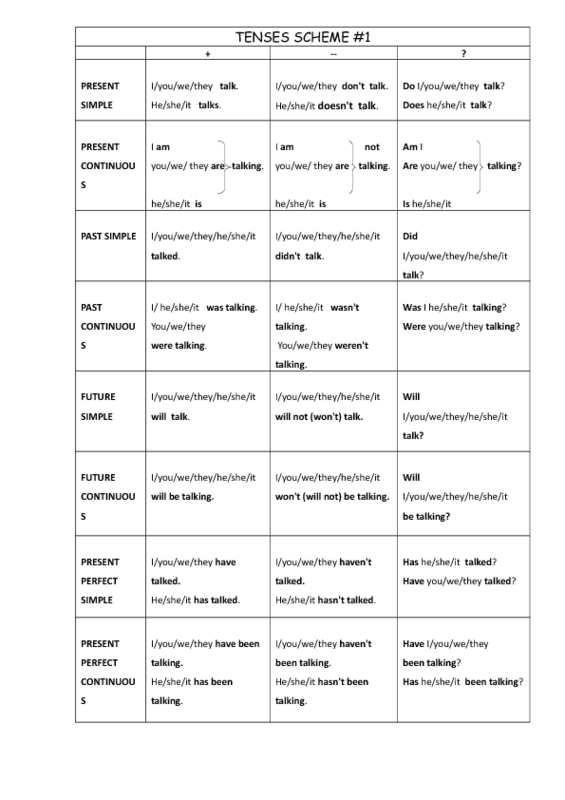 It's a simple table aimed at revising and/ar learning present and progressive tenses (present simple and continuous, past simple and continuous, future simple and continuous, present perfect simple and continuous). Each tense is provided with affirmative, negative and interrogative example. All the special forms for plurals and different persons are also mentioned.